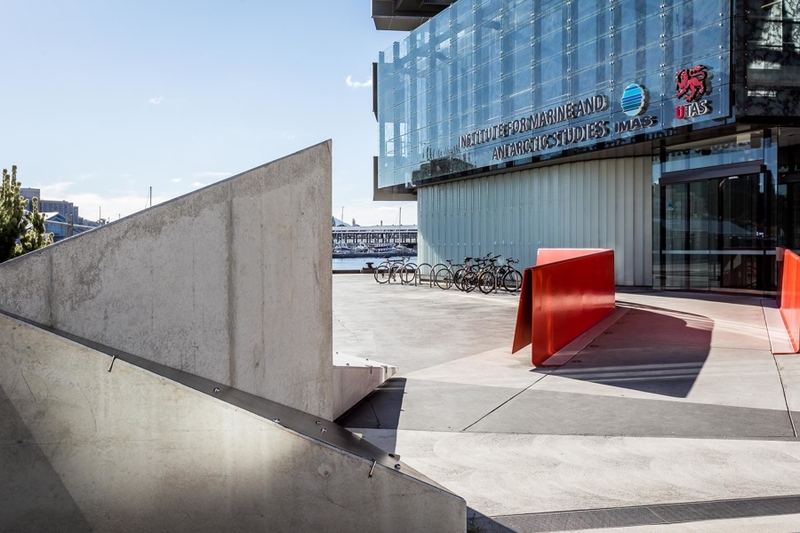 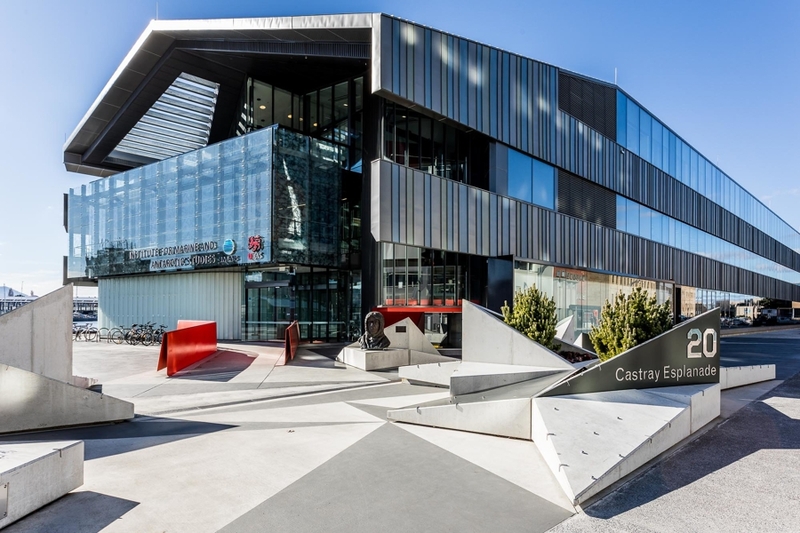 The completion of The Institute of Marine and Antarctic Studies (IMAS) enabled a new dimension to open up on the Hobart waterfront with access to the street, public forecourt and water’s edge that form 3 sides of the building. 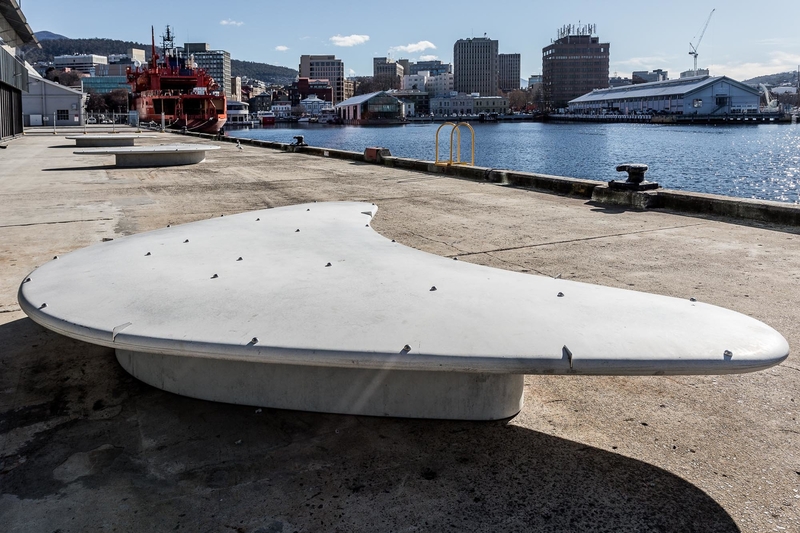 The spatial generosity enabled by the building curtilage was limited in use by two factors: the very close proximity of the adjoining TasPorts boundary line which impacts upon the presence of IMAS’ public entry court and the historic inaccessibility of the waterfront apron which has limited activation of this area. 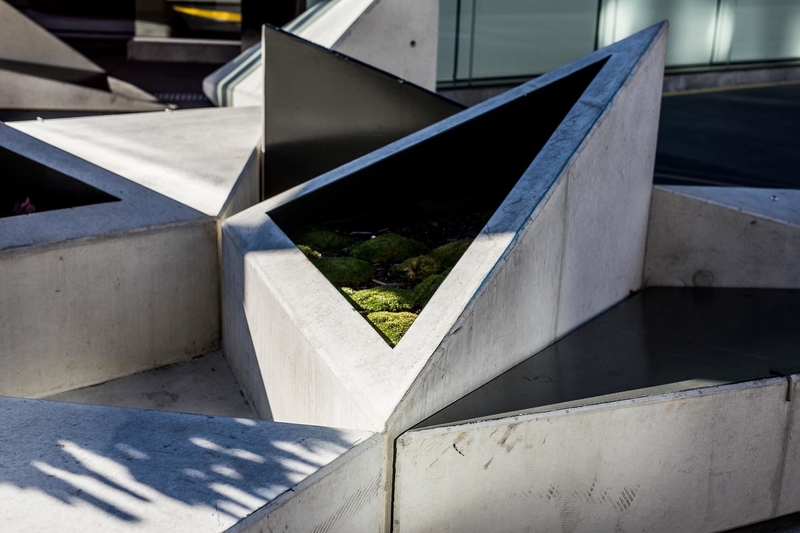 Subsequently, an opportunity existed to describe a more structured set of recreation and relaxation spaces around the building. 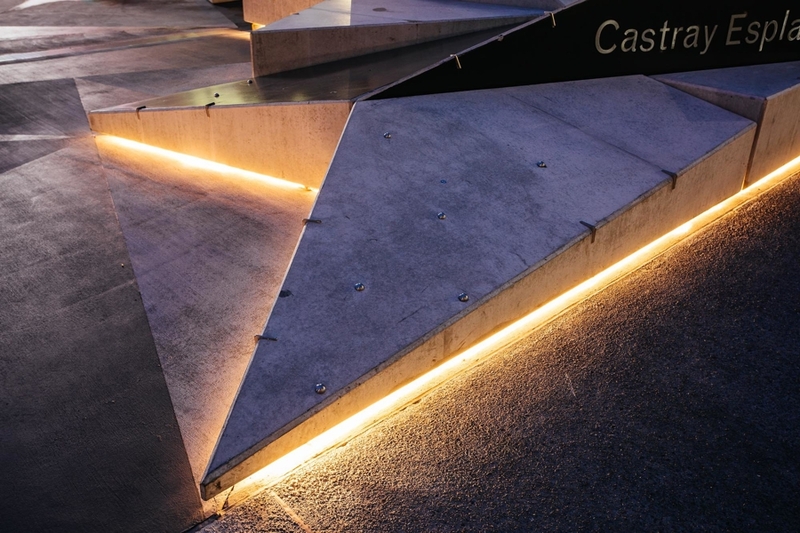 The project consists of two key interventions. 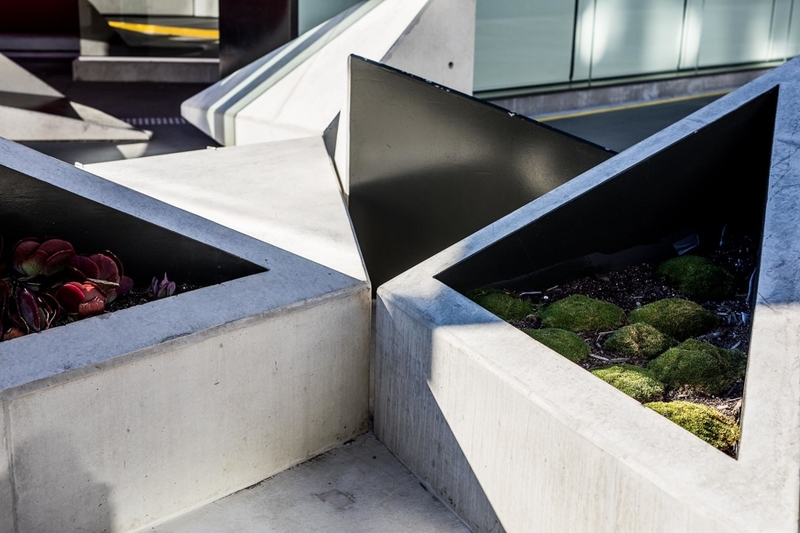 At the entry forecourt, a series of triangular prisms provide both an entry marker but also seating opportunities adjacent to miniature landscapes. 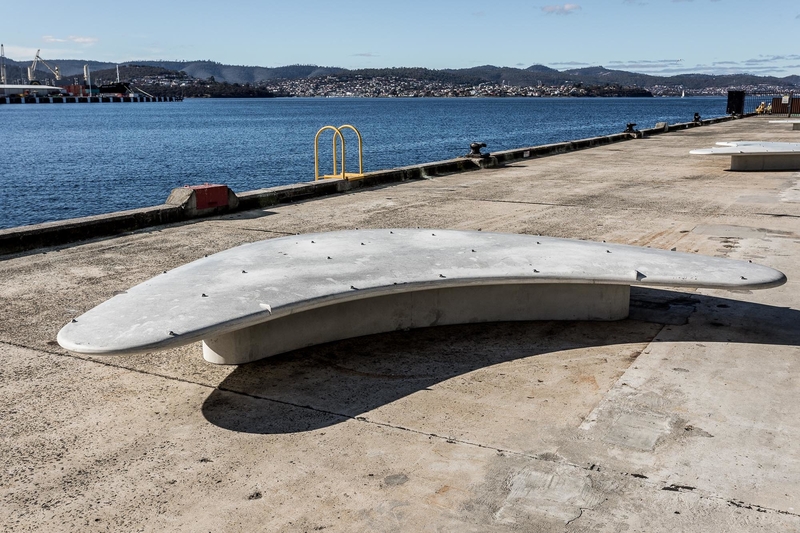 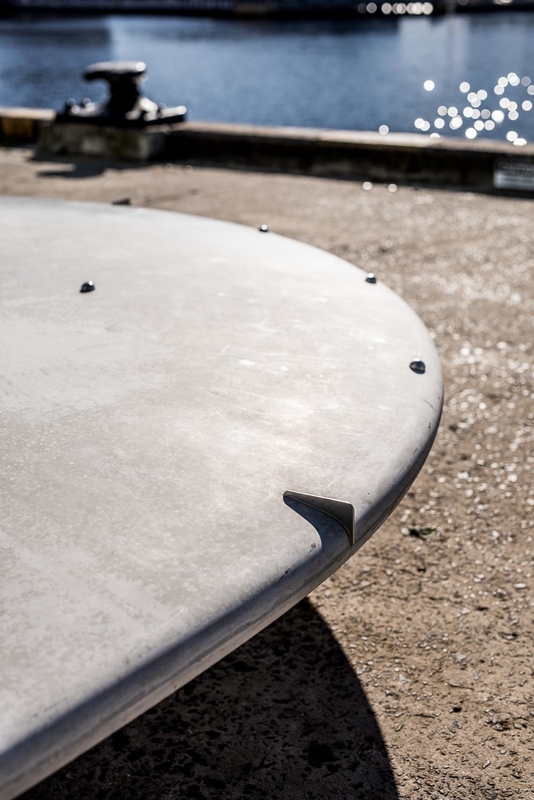 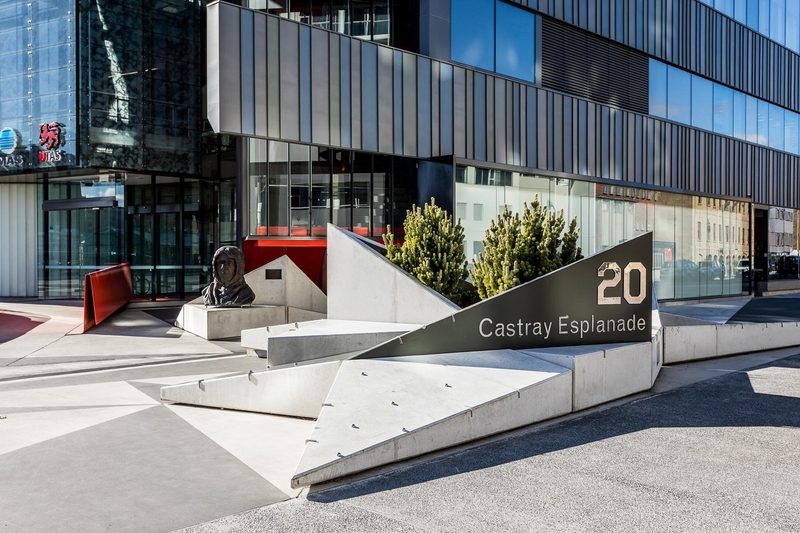 On the concrete wharf apron to the east, the empty and sparse landscape has been met with a series of concrete seating structures that maintain the abstract nature of this classic Hobart spatial type while inviting a new form of engagement. 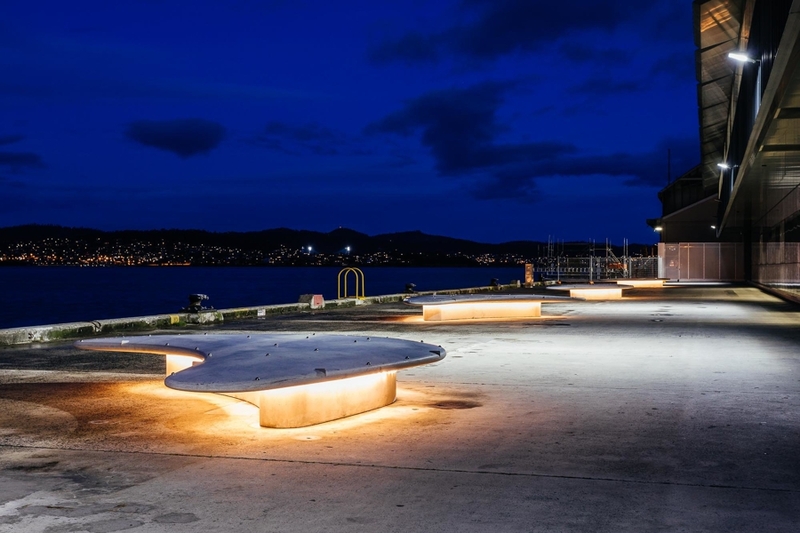 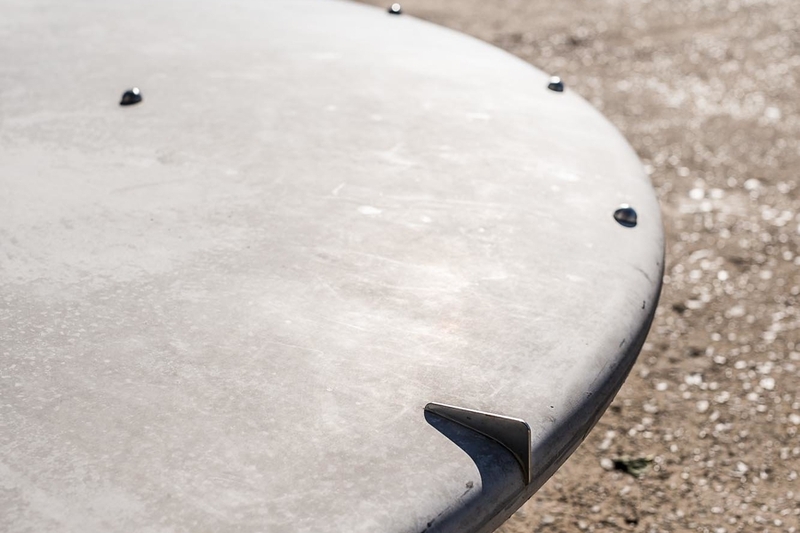 The form of the seating is derived from a supersized lyrical interpretation of the existing wharf bollards that line the edge of this apron across Sullivan’s cove.